Baker cabinet, two drawer lateral file. Birdseye maple veneers over maple solids. Lip to front and back edge of top, which are not only decorative but functional as this group was designed to be fully modular. Signed with Baker oval tag. Very good original condition, sturdy and solid, fully functional in any office or residential setting with premium Accuride drawer slides. 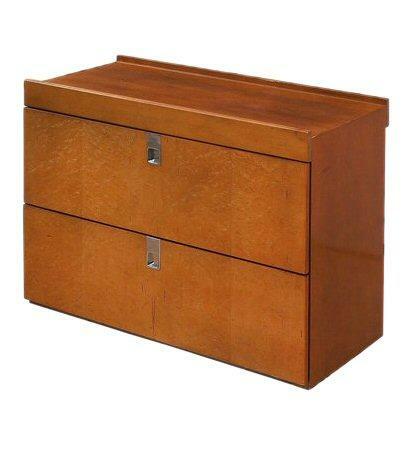 Brian Palmer two drawer lateral file for Baker, late 70's.